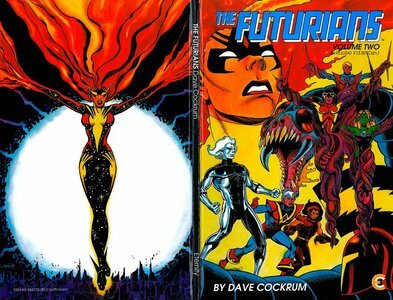 The Futurians was a superhero team created by Dave Cockrum which was launched in 1983 by the Marvel Graphic Novels series, then in a three-issue run published by Lodestone Comics. A four-issue mini-series written and drawn by David Miller, with colors by Joe Rubenstein, focused on the character of Avatar and showed some of his history as he returned home to London and fought Morgan Le Fay. It was then published in 2010 by David Miller Studios.